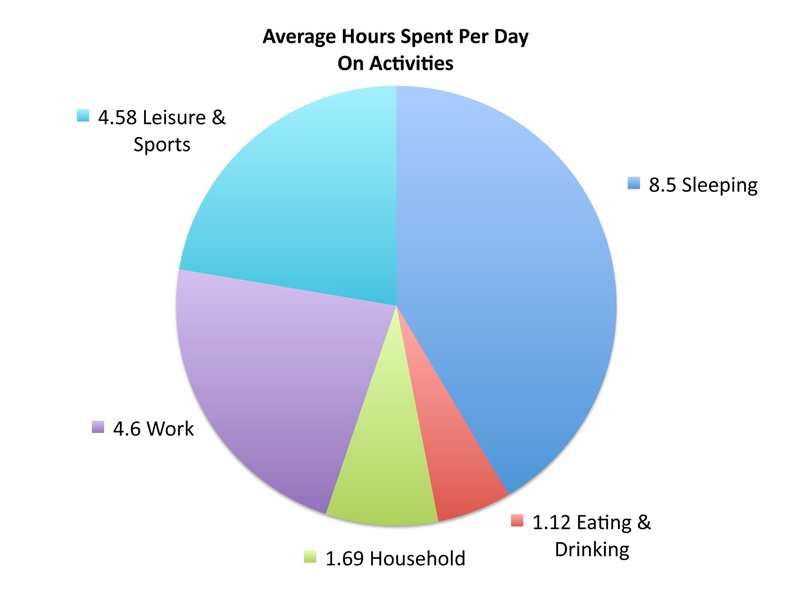 The Department of Labor in June released a survey, called the American Time Use Survey, on how much time Americans spend working, sleeping, and a host of other activities. Nearly 10,500 people were surveyed by the Labor Department nationwide for this latest report. The survey found that Americans spent just over 4.5 hours each weekday working in 2016, an increase of 8 minutes from the previous year. Meanwhile, the average amount spent sleeping fell by 5 minutes from the year before, to 8.5 hours per day. The survey results may not necessarily be representative of everyone, but for a basic government report, it does give employers and economists a rough idea of how we spend our day. Such data may reveal that too much leisure time could be indicative of high unemployment or even excess reserves for spending. While an increase in hours worked may be an indicator of an increasing demand for workers.